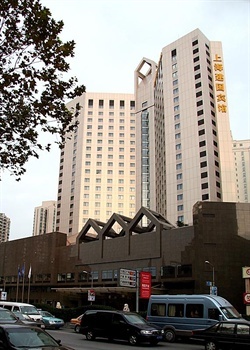 In the center of Xujiahui, one of Shanghai's top commercial centers, the Jianguo Hotel (Shanghai Jianguo Binguan) is well known for the easy access it offers to the subway and inner ring road, as well as for the excellent service rendered by its staff. The hotel is also a mere 15 minutes from Hongqiao International Airport and 45 minutes to Pudong International Airport. The executive floors, which feature a specially-designated lounge, offer increased luxuries and cater exclusively to business travelers. The Chinese and Western restaurants feature traditional Cantonese cuisine, local Shanghainese fare, Japanese delicacies and Korean specialties. For those putting on events, this Shanghai hotel's function room is well suited for banquets and conferences. Extra support services and facilities can be employed in the business center. Parking is free. The health club on the premises, which includes a sauna, offers diverse programs and treatments so that guests can stay fit and energized during their stay. Other facilities include a gift shop to browse, a beauty salon to be treated in, fitness facilities to work out in, sauna and an indoor swimming pool to relax.